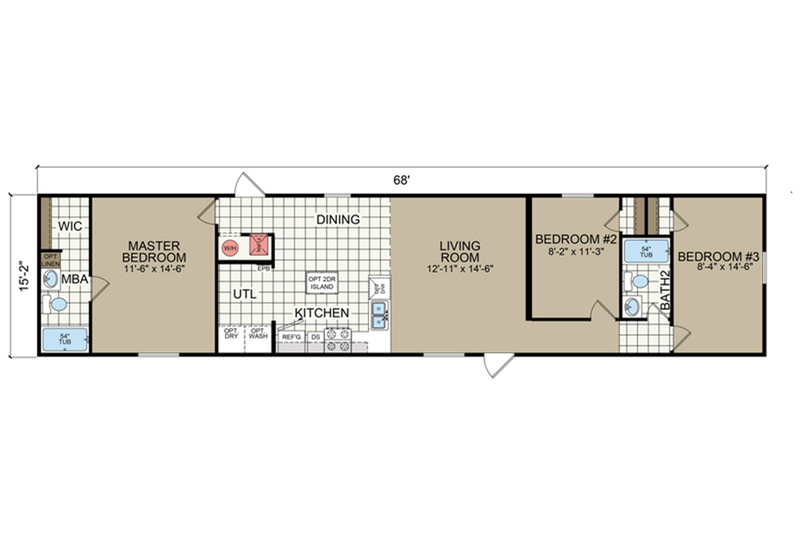 Economically priced two bedroom at opposite ends of home. 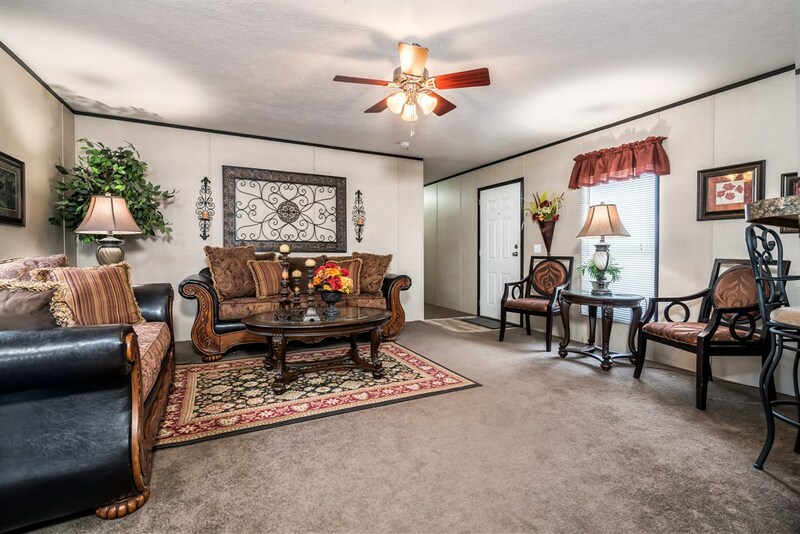 Spacious living room and beautiful well equipped kitchen with large center island, ideal for entertaining. 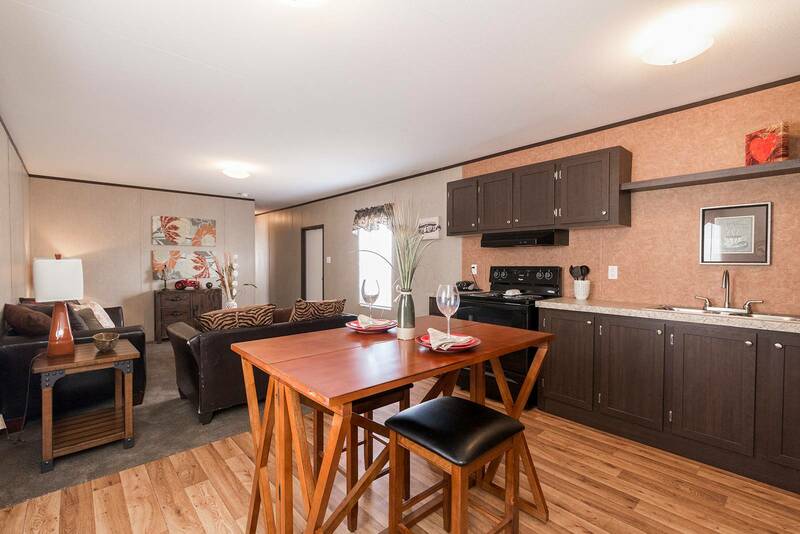 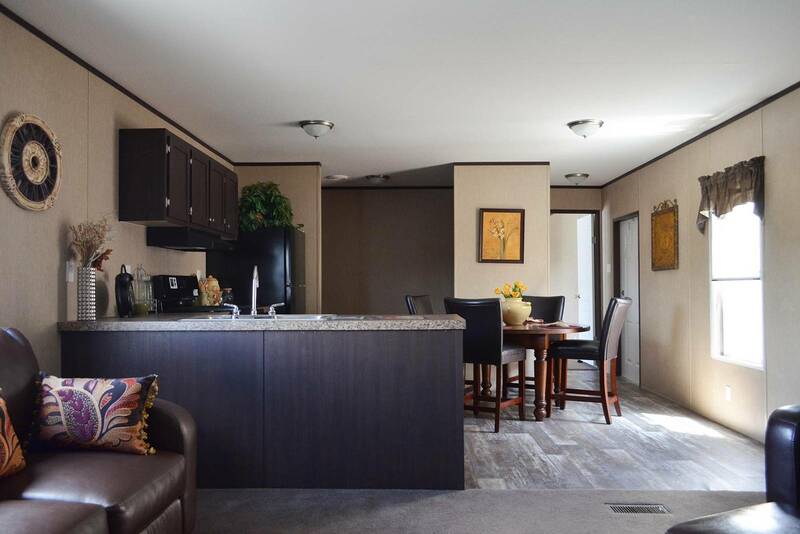 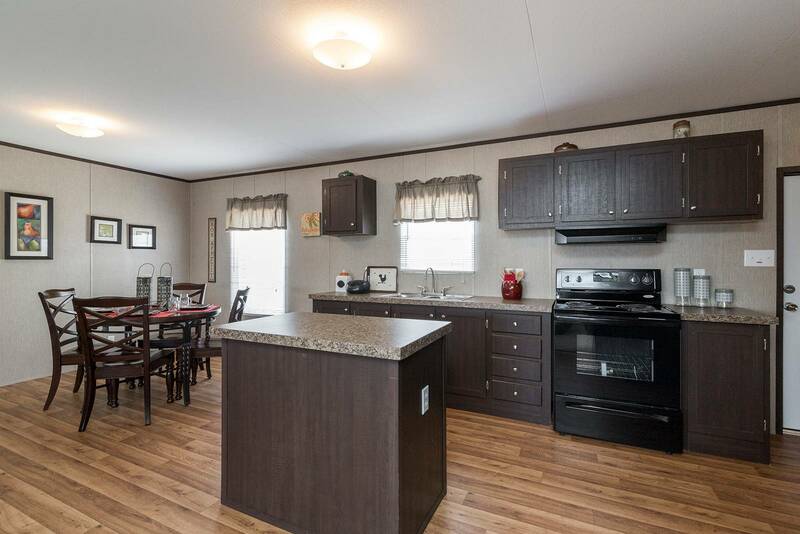 Efficiently designed value oriented single section features large open kitchen with island work station/serving bar, spacious living room, king size bedrooms and beautiful fully equipped baths. 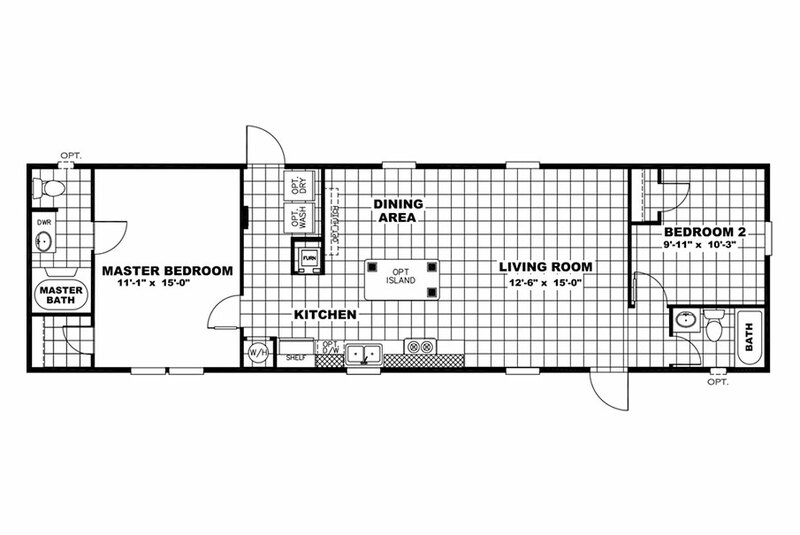 Extra large 18’ wide single section four bedroom available with private master bedroom retreat in lieu of fourth bedroom. 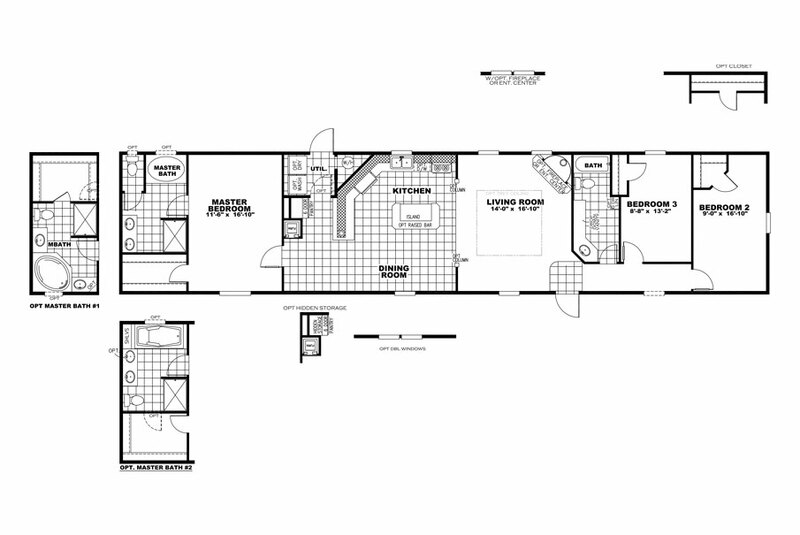 Master bedroom includes ensuite with luxury bath. 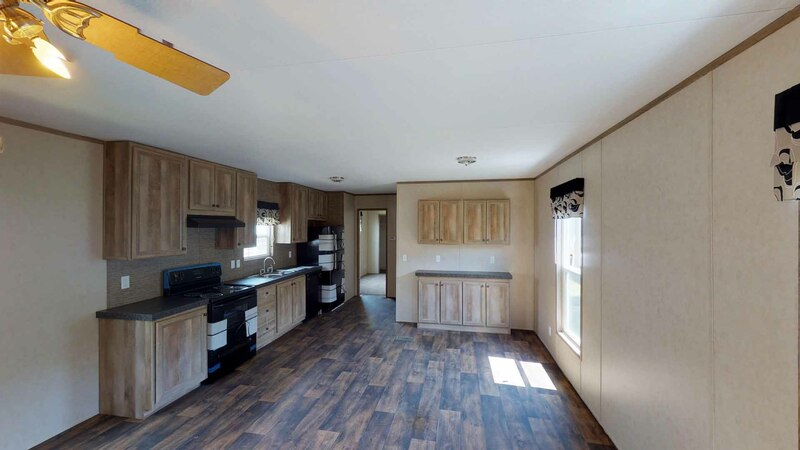 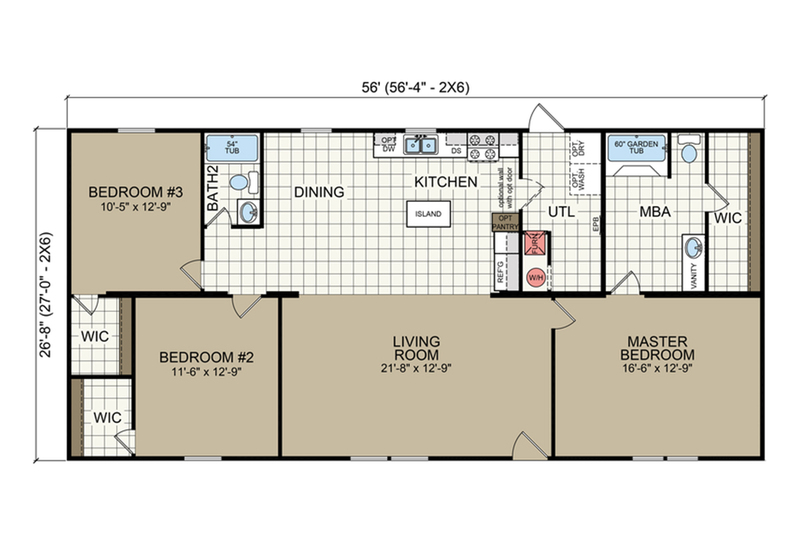 Flexible floor plan design with several optional alternate master baths, and bright kitchen with island snack bar opens into spacious living room. 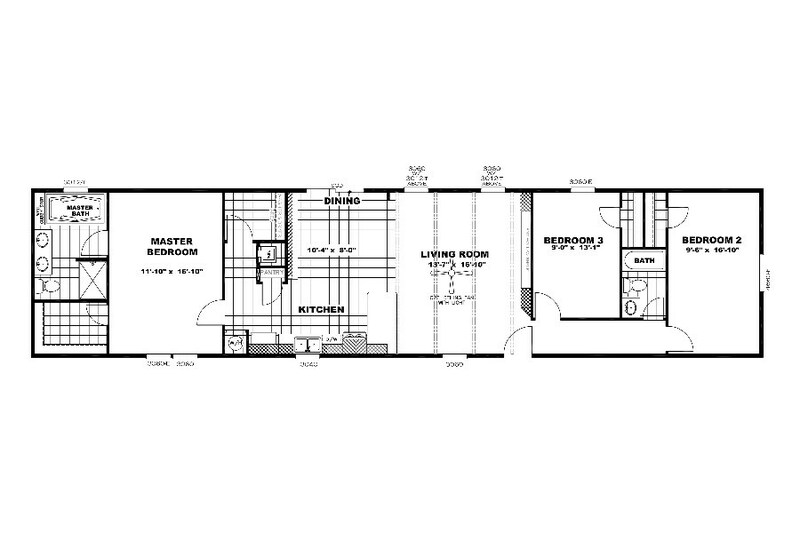 Large living room, beautiful center kitchen, large guest bedrooms and luxurious master bedroom suite features elegant bath with soaking tub, stall shower and dual sinks. 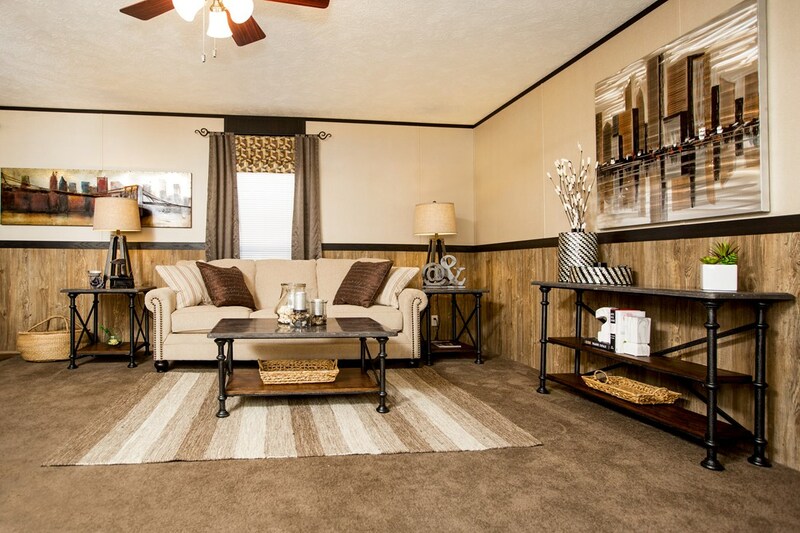 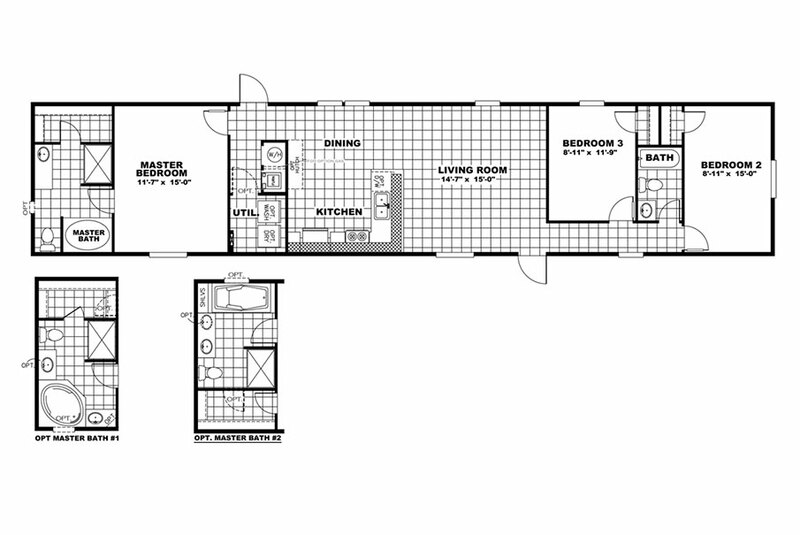 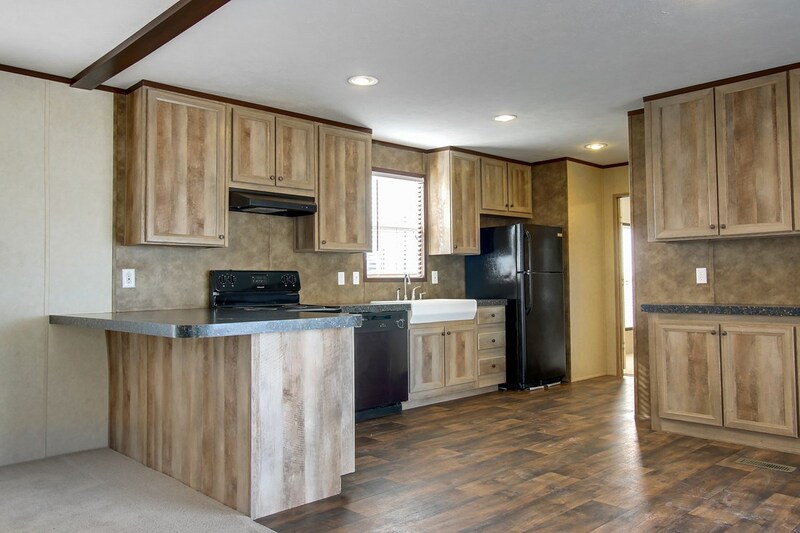 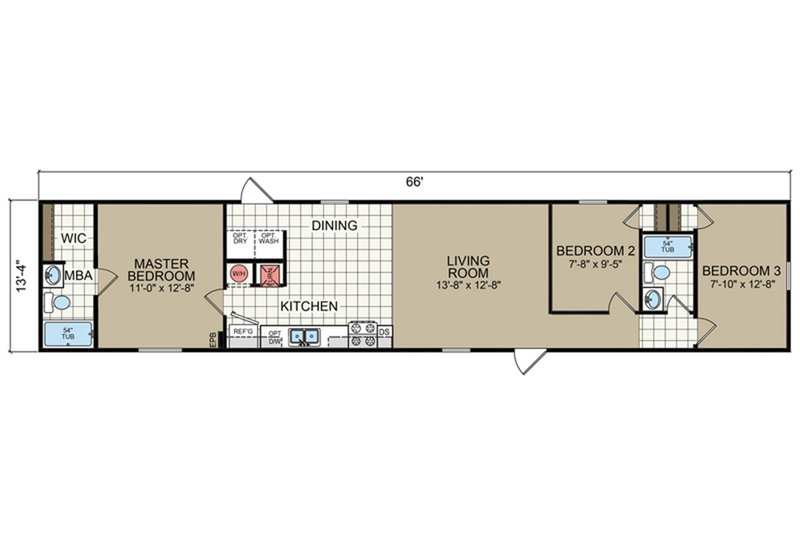 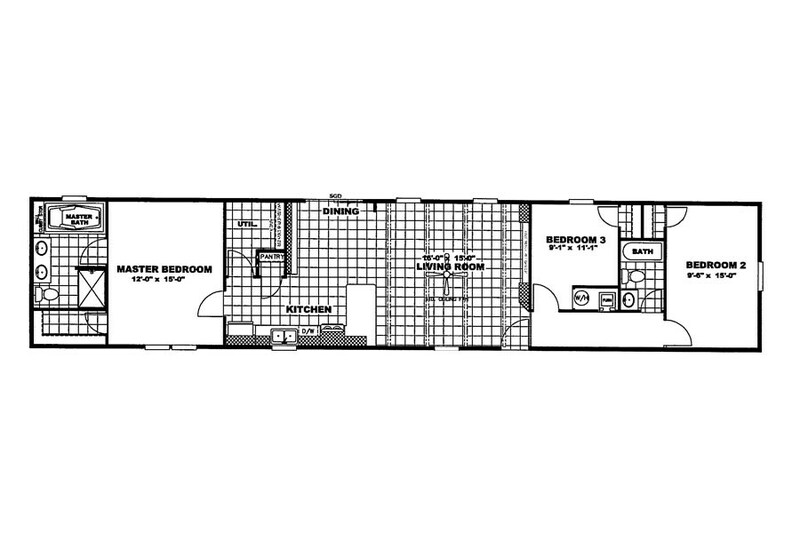 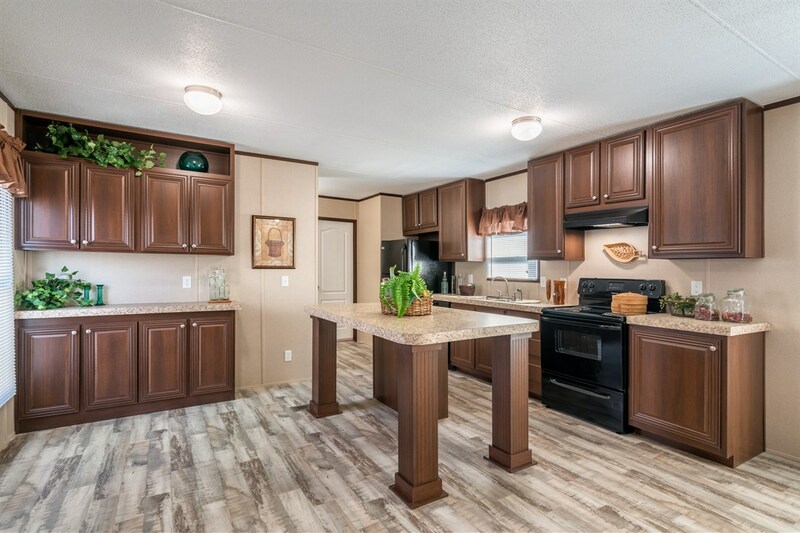 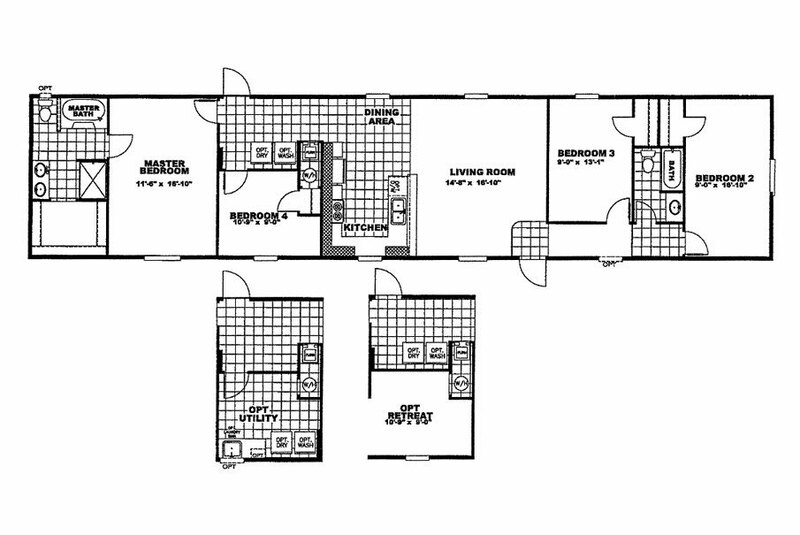 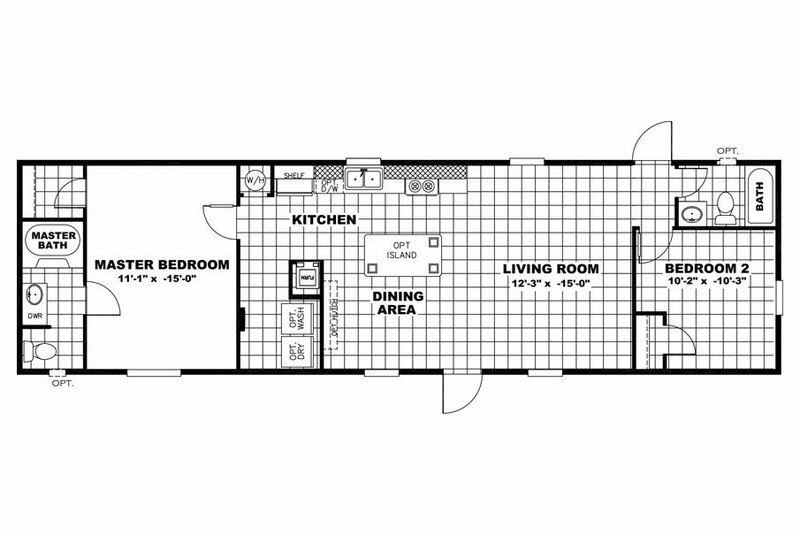 Home buyer preferred floor plan with beautiful center kitchen open to spacious living room. 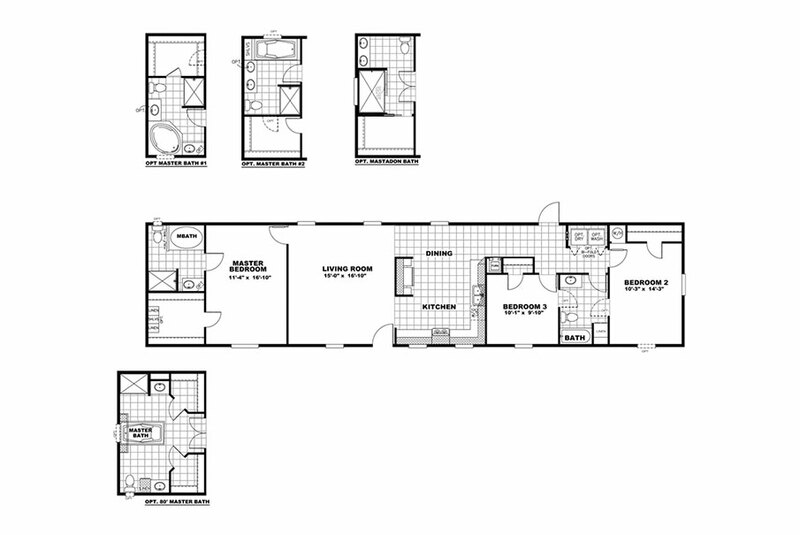 Master bedroom and luxury bath privately located at opposite end from guest bedrooms and bath. 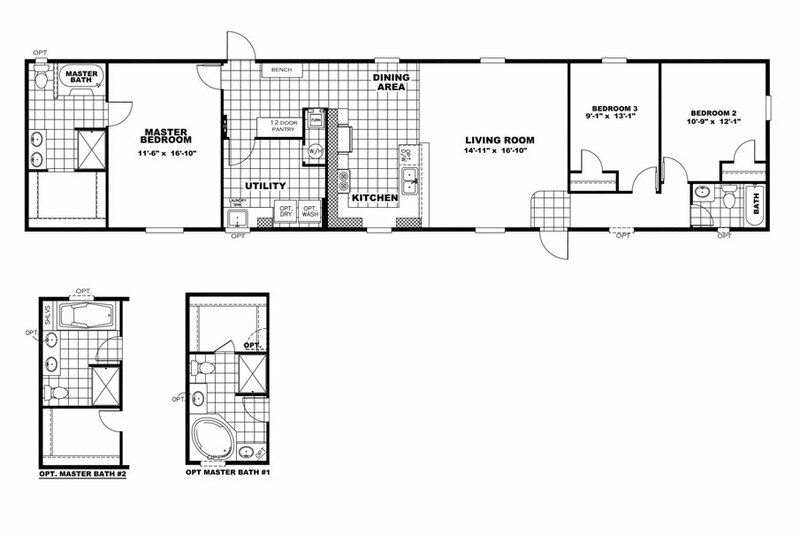 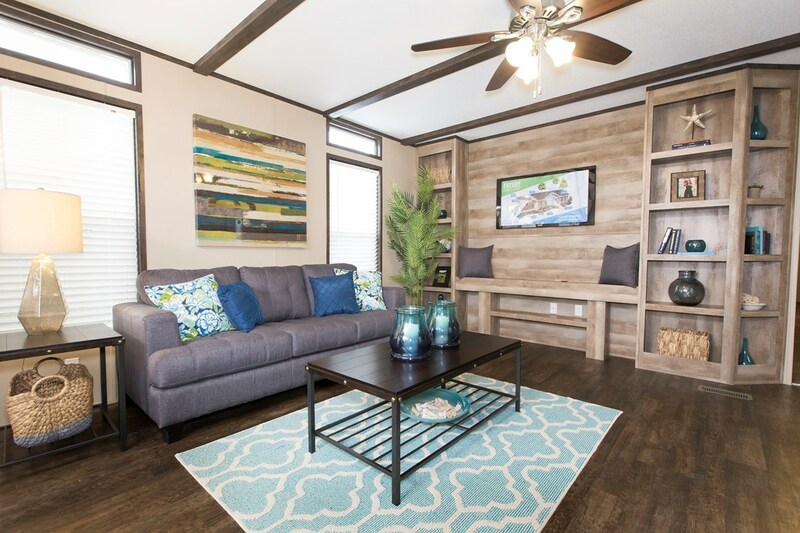 Measuring 18’ x 80’ this single section is maximum size with extra large features including spacious living room, beautiful kitchen/dining room, large bedrooms with optional fourth bedroom, deluxe baths and numerous custom floor plan options. 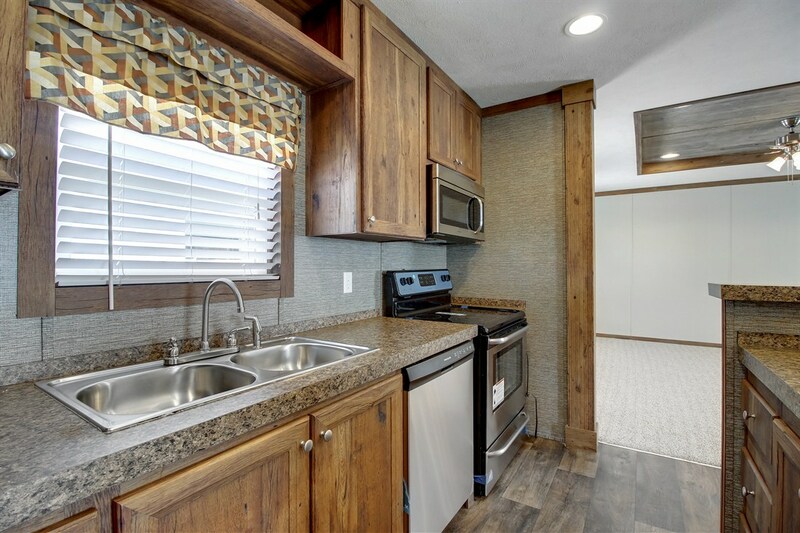 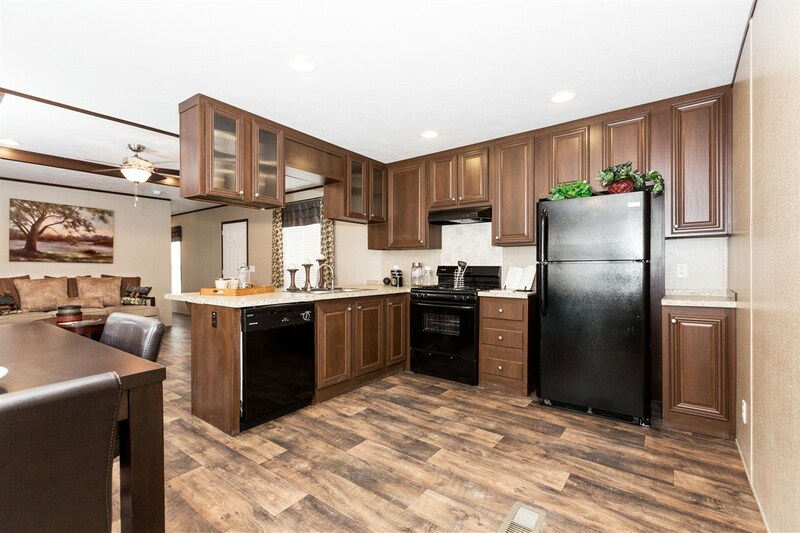 Well equipped and appointed home features beautiful large kitchen with lots of handcrafted wood grain cabinets, seemingly endless countertops and deluxe appliances and fixtures. 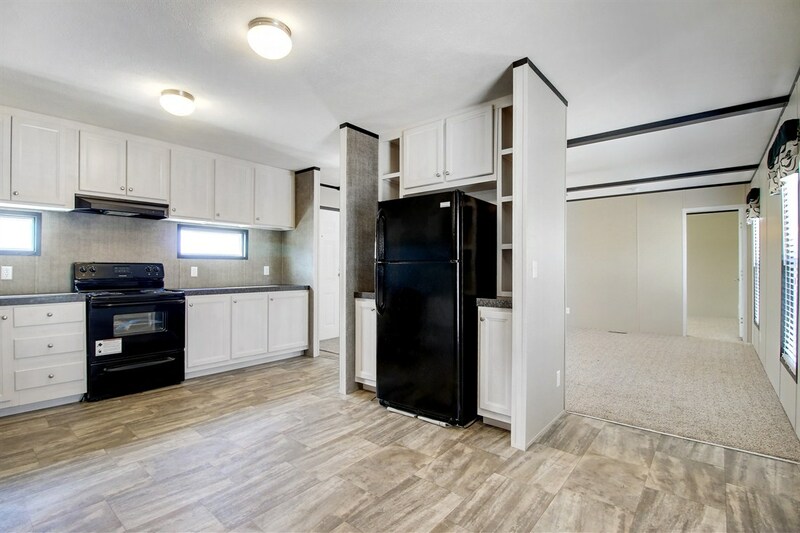 An abundance of storage capacity in this efficiently designed family home with beautiful kitchen with lots of cabinets, extra large utility/laundry room and ample closet space.